While many people don't consider the weight of a food tray to be an inconvenience, for some, this weight may cause intense pain and discomfort. Suitable for use with full length wooden side rails, the Invacare Bed Tray solves this problem, as it fixes neatly onto rails to prevent any weight from being placed on the user. With this tray, patients can eat and perform other activities in bed without the pain or discomfort caused by bearing a tray's weight. Many patients cannot balance a tray on their legs, and for others, the tray may be too heavy to support. 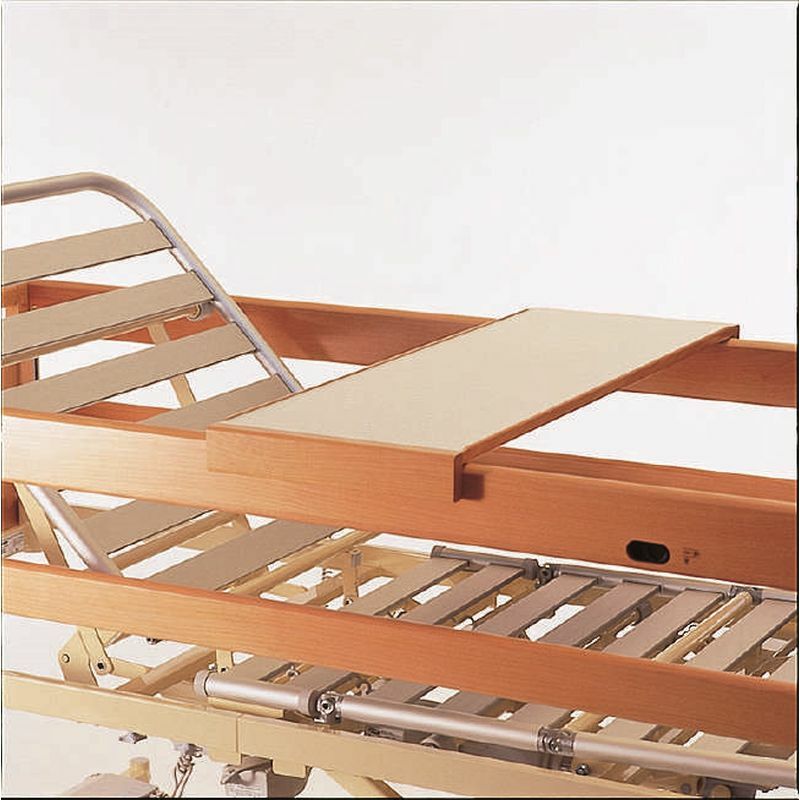 The Invacare Bed Tray solves both of these problems, providing a constantly stable tray that is supported completely by the frame of the bed, and not the patient.